So a little about myself before I get into what I am building. For 15 years I was involved in all aspects of metal fabrication with a strong back ground in engineering and research and development. I do anything from welding both mig and tig to programming and running lasers, turrets, press brakes, water jets, CNC mills and CNC lathes. With all of that said I used to really be into mini trucks I have built a couple of my own and played a big role in helping some friends build theirs. 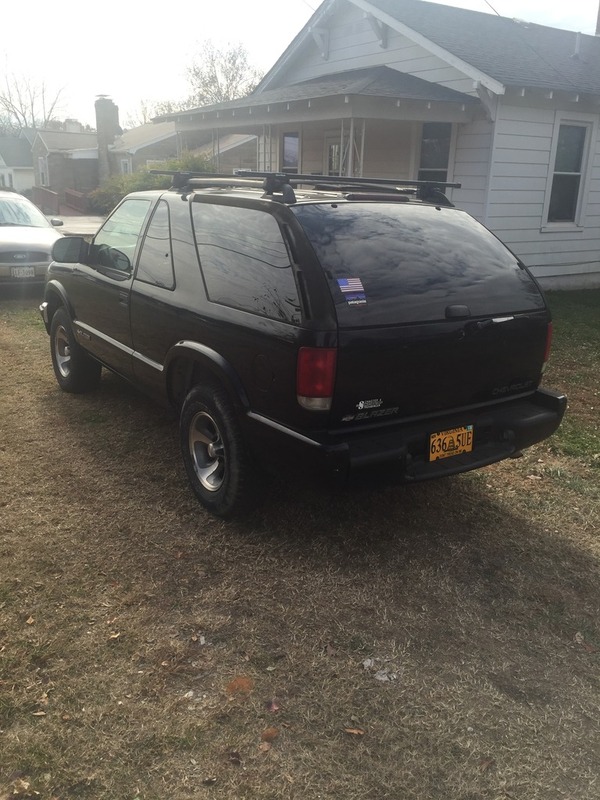 This project came about to teach my 12 year old soon to be step son a trade that will get him far in life him and I together will be building a full custom frame that will double as the air tank and allow me to keep the head room by not raising the floor in the blazer also we will be building the frame under axle to keep the back seats so the family can enjoy it once completed. The blazer will lay rockers on 22" billet wheels up front and 24" billets out back and be equipped with accuair e-level system and 4 air zenith ob2 compressors to fill the custom built frame rails with air. 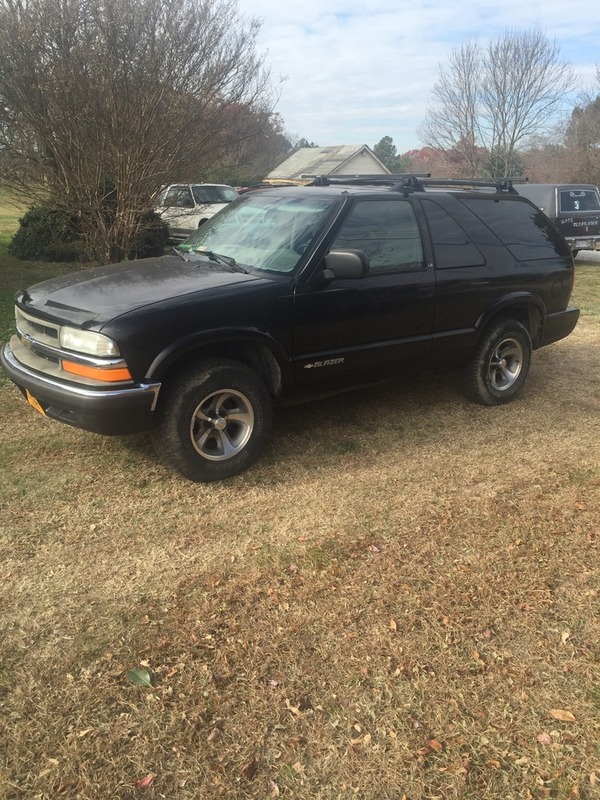 A built procharged LS2 will get the blazer moving. 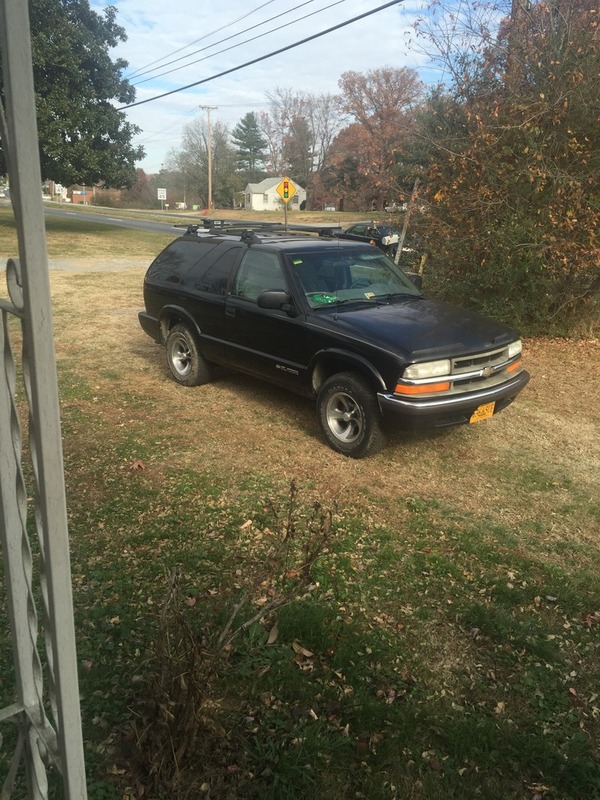 I just picked up the blazer on November 15th 2016 with 109,000 original miles and we will be starting the build in January after we get through Christmas and will be making lots of one off parts for this build so keep up with what's going on if you like a few pics of the vehicle are below. I have noticed there are more 4x4 builds here than the type of build I am doing but hopefully everyone will enjoy my build regardless I am the type that can appreciate any type of build as I know the hard work it takes to put together a well rounded car or truck. There will be more to this build than what I listed in my original post but I just wanted to save some of my ideas for the followers to see unfold rather than lay all the cards out on the table as I said before enjoy and feel free to ask any questions as things start to progress. Last edited by K Strat16; 12-11-2016 at 07:09 PM. Can't wait to see what you do here! Regardless of lifted or lowered, anyone should be able to appreciate a well executed build. I too am looking forward to seeing you progress on your project. The frame I'm going to be building out of 1/4" plate it's going to look mandrel bent with seamless curves and will be 2.5"x2.5" in diameter with internal gussets for strength every 6" with a 1.5" square hole in each gusset to allow the full frame to fill with air from the firewall back the fact that the frame will be the air tank means this won't be something that I drag it's more or less something to show the kind of work I can do to attract some for the moment side work where I will start building parts and frames for lifted or bagged trucks until I can attract enough clients to start my own shop I just look at it like you have to start somewhere but eventually I would like to have a more upscale business like nfamous air suspensions and little shop of horrors and sadistic iron works 3 big shops that I have always looked up to there won't be any updates until I get started in January but the full frame will be tig welded the last frame I built that held air I mig welded and I just wasn't completely happy with what I felt was the focal point of the truck everyone else that saw the frame loved it but me being the builder I guess it's easier for me to pick out little flaws. My buddy wants me to debut this blazer at SEMA its first year of completion so that is a likely possibility to further get my name out there. We will be doing everything in a 24x36 garage including cutting all the material on a 4x8 Lincoln electric CNC torch mate table so there will be lots to keep up with. Sorry for my long reply just want everyone to know where this is going I don't have a press brake but I have access to several so anything I need to bend will go where I have access to the equipment for me to use. I'm glad some folks have interest in watching this come along. I think the idea to use the frame as the air tank is awesome. I like all kinds of builds from stock with mild molds, lifted trucks and lowered trucks. Looking forward to this one for sure. This will be the second frame I have built that was used as the air tank the first one I built was back in 2005 or 2006 and I may have been one of the first to do that don't quote me on it but I had never heard of it being done prior to me doing it.